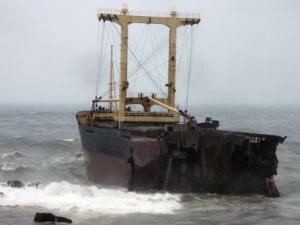 The 155 meter long, 18955 dwt freighter Jui Hsing went aground off Keelung, Taiwan while sailing through Typhoon Nalgae. 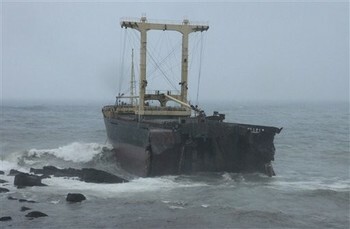 The Jui Hsing had left Keelung bound for China when it went it went aground on the rocks. 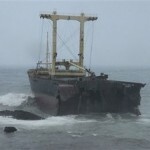 The storm pounded the vessel and the freighter broke-in-two sending the 21 crew into the water. 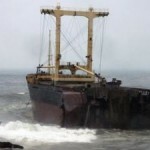 The authorities dispatched vessels and a helicopter to the scene. Rescuers were able to save 11 men. Reports state four men perished while another six were still listed as missing. Authorities are also attempting to contain the 1 kilometer long oil slick resulting from the 200 tons of diesel and 80 tons of heavy fuel on board the freighter.